Required advance order of three (3) days. 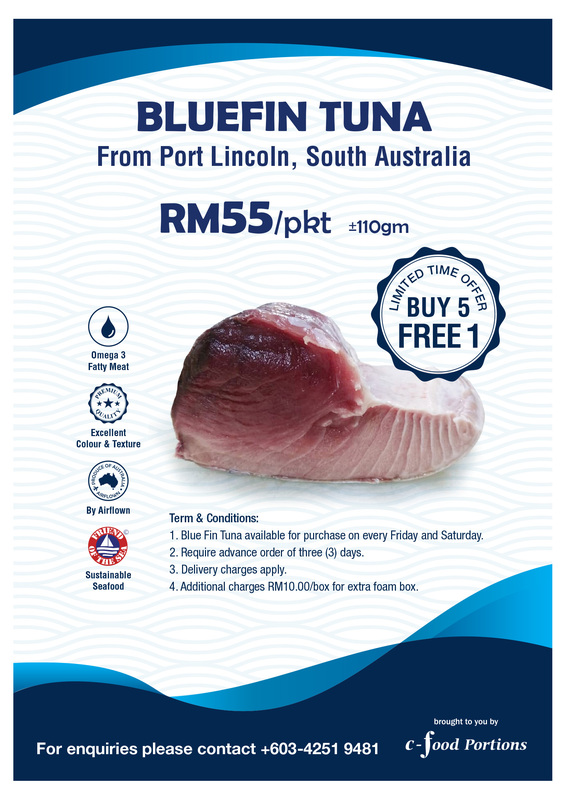 *Bluefine Tuna available for purchase on every Friday and Saturday. *Bluefine Tuna time available from 11.00am - 4.00pm.